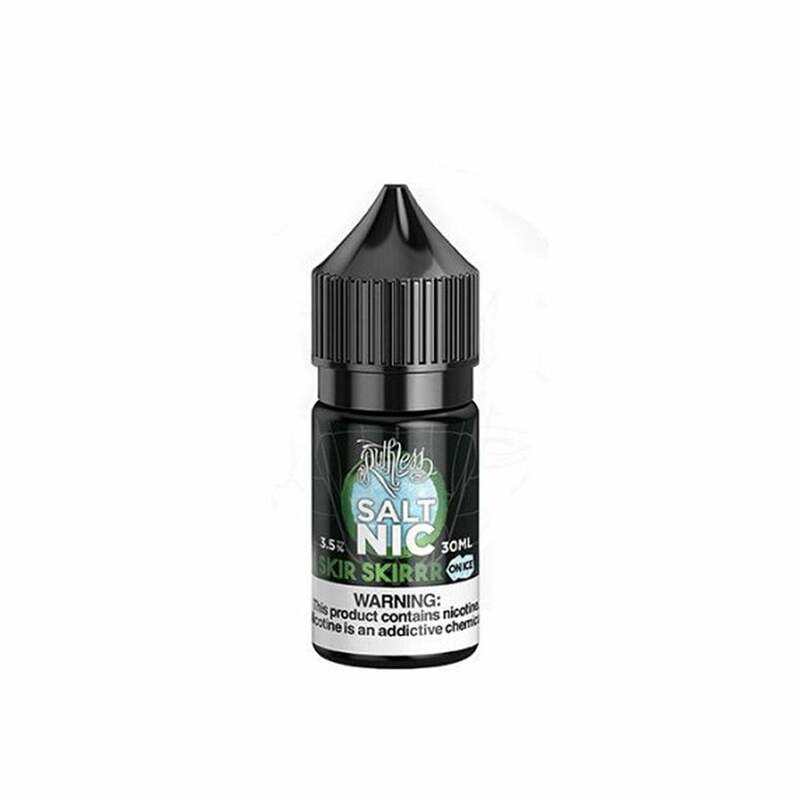 Skir Skirr on Ice 30ml Nic Salt Juice by Ruthless is a sweet splurge of flavor, fresh apples and juicy honeydew melon blended together with a refreshing menthol. Skir Skirr on Ice Nic Salt has a 50VG/50PG ratio and is compatible with your favorite pod mod. Ruthless Skir Skirr on Ice Nic Salt comes in a 30ml bottle and is available in 50mg (5.0% nicotine) and 35mg (3.5% nicotine).